From providing expert insight and commentary on current industry issues, to news about our business. 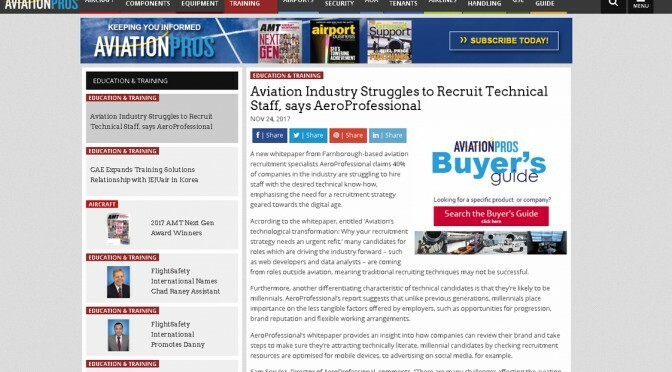 AeroProfessional have been featured in all the below media. 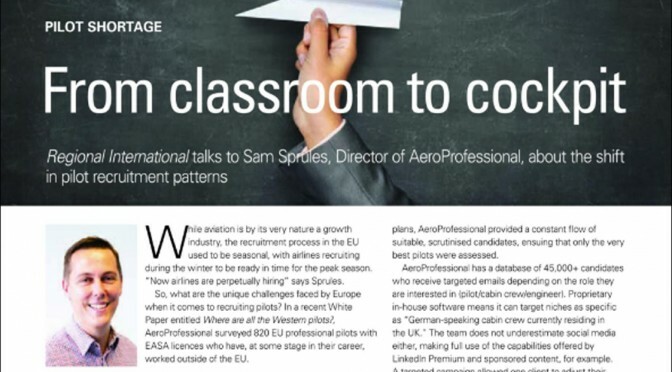 In our latest article on education and training, Sam Sprules talks about the industry’s struggle to recruit technical professionals, based on AeroProfessional industry leading white paper. 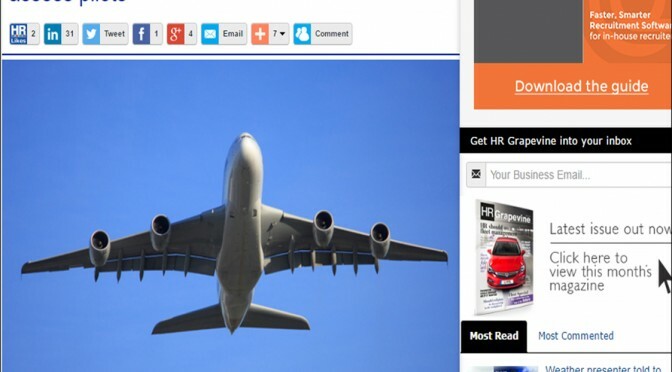 Catch this exclusive article at aviationpros.com! 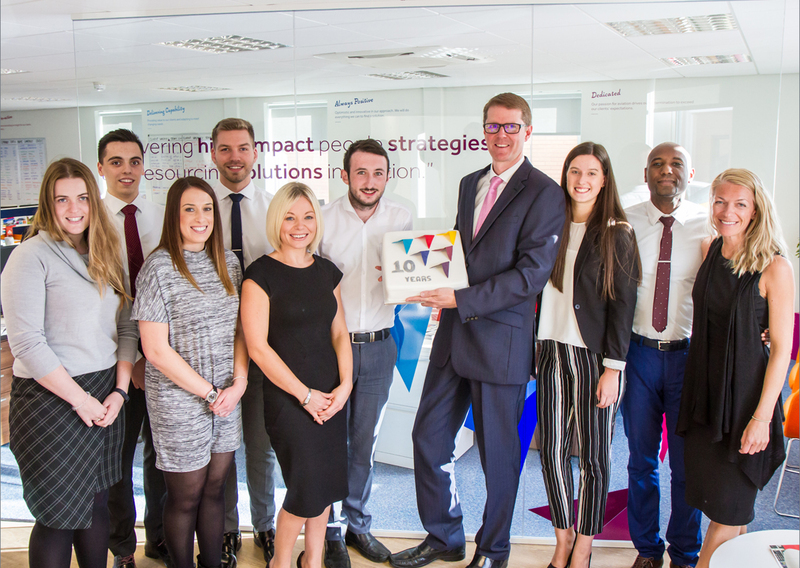 In our new members article we discuss why we joined the ERA, our robust business strategy and future plans. 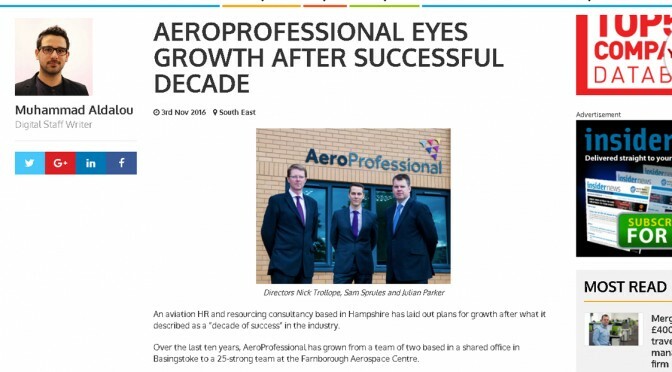 Get an insight into AeroProfessional’s business growth, exclusively in this ERA article on page 38. 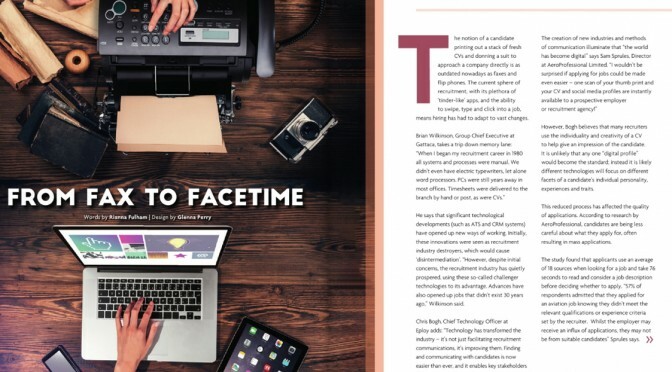 From classroom to cockpit, AeroProfessional are delighted to launch their first article with ERA into the Regional International Magazine. 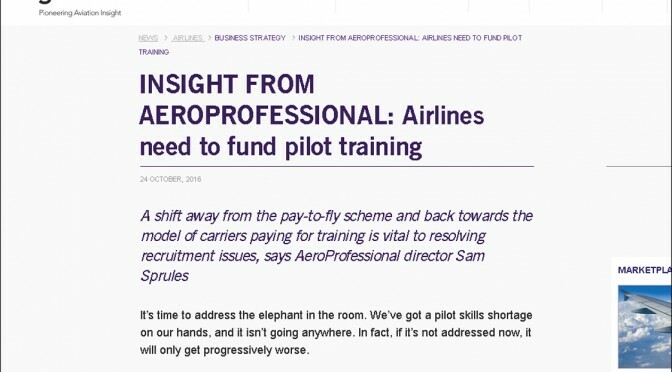 AeroProfessional director, Sam Sprules, talks about the shift in pilot recruitment patterns, recruitment strategies and how to tackle the problems. Exclusively on page 36. 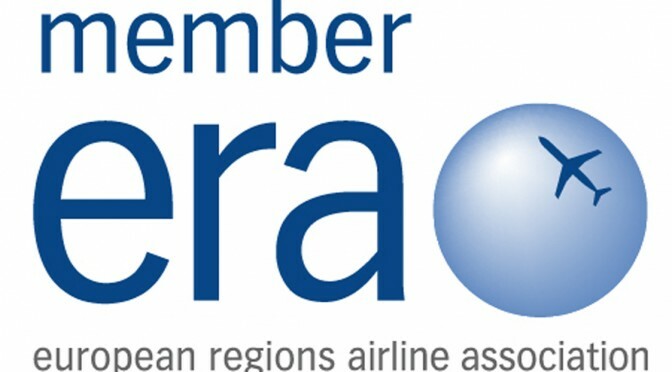 AeroProfessional are delighted to now be members of the ERA. 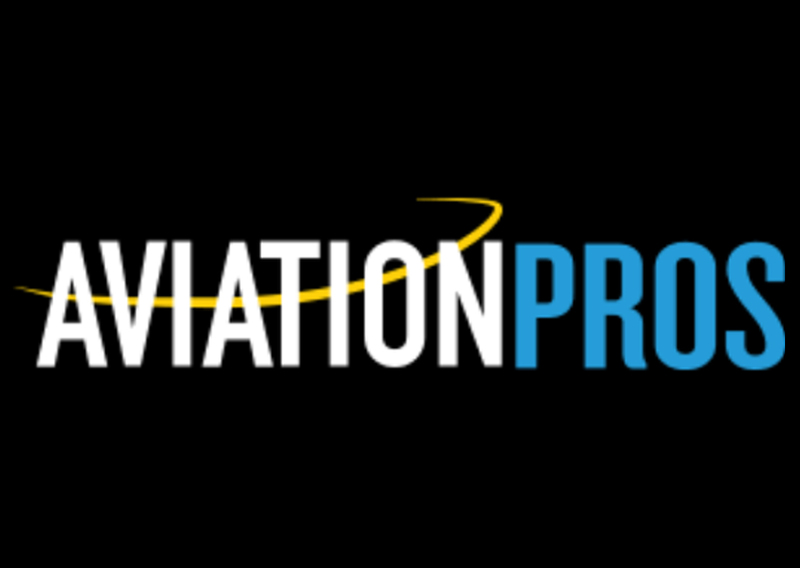 As specialists in aviation people solutions, AeroProfessional believes that the credibility of ERA and their existing members will allow for a significant growth opportunity and support our aspiration to become industry leaders. 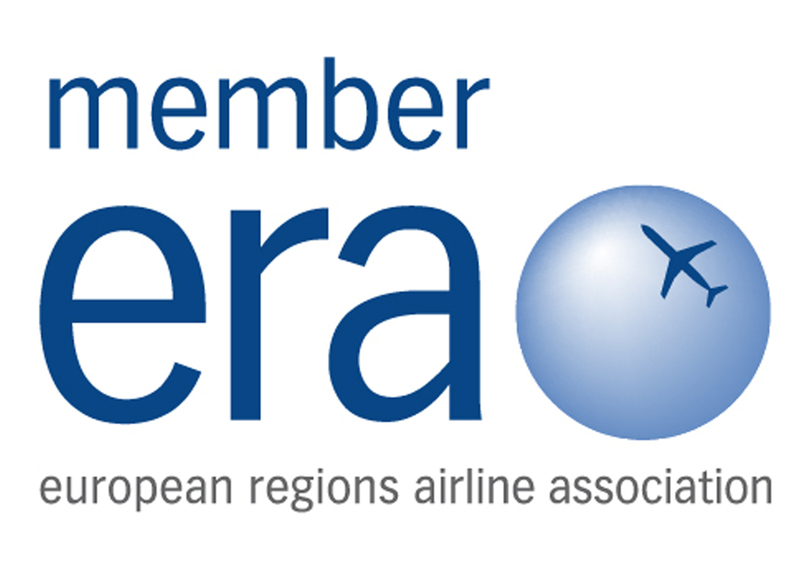 AeroProfessional’s team of dedicated specialists look forward to networking with ERA members, discussing effective people strategies and bespoke solutions to support a variety of business needs. Don’t forget the Cabin Crew. 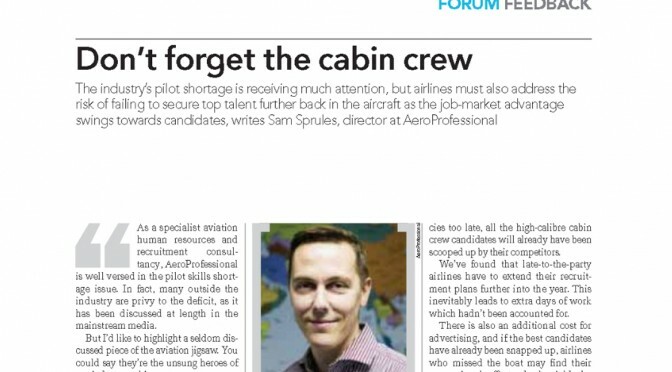 Our latest article in Flight Global, Airline Business, discusses the importance of cabin crew amidst the pilot shortage conversation. Head to page 57 today! 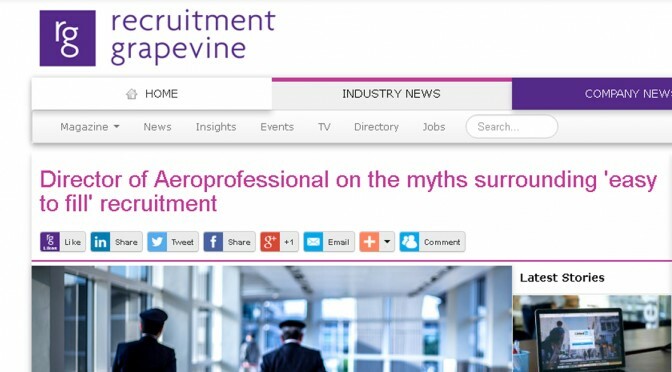 Recruitment Grapevine cover our new story ‘Director of AeroProfessional on the myths surrounding ‘easy to fill’ recruitment. Read this article and learn why leaving the ‘easy to fill roles’ till last minute can end in a recruitment headache. Exclusive: Our director Sam Sprules reveals how candidates get their wings. 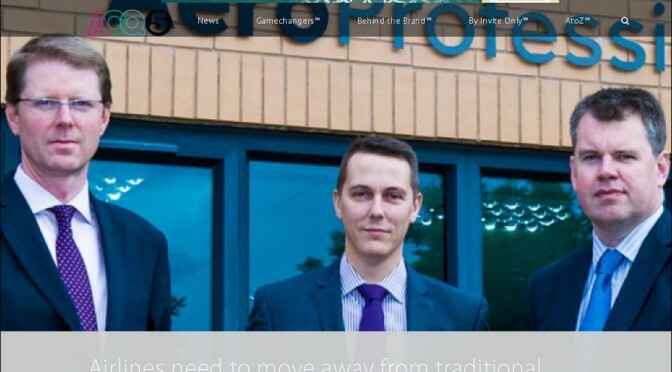 Read about what Sam finds exciting about working in the aviation sector, what new methods AeroProfessional are using for candidate acquisition and what advice Sam would give his younger self. 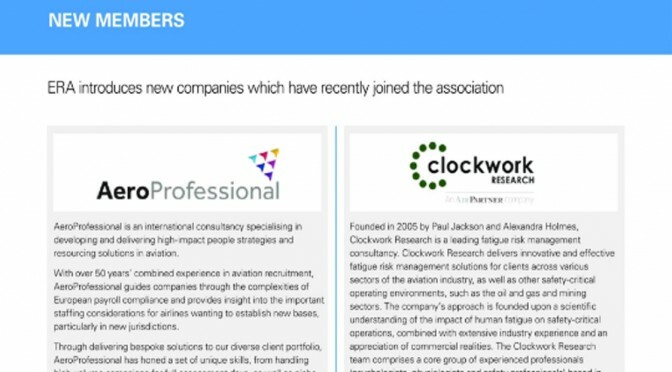 See how our Aero Professional whitepaper inspired Recruitment Grapevine’s article ‘Sector spotlight’. 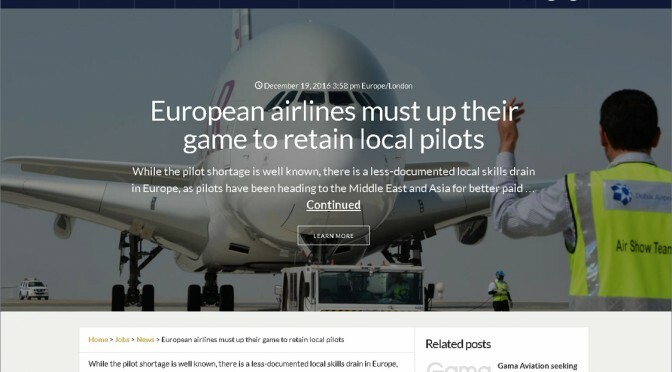 European airlines must up their game to retain local pilots Discover why pilots have been heading to the Middle East and Asia for better paid roles, via our latest article. 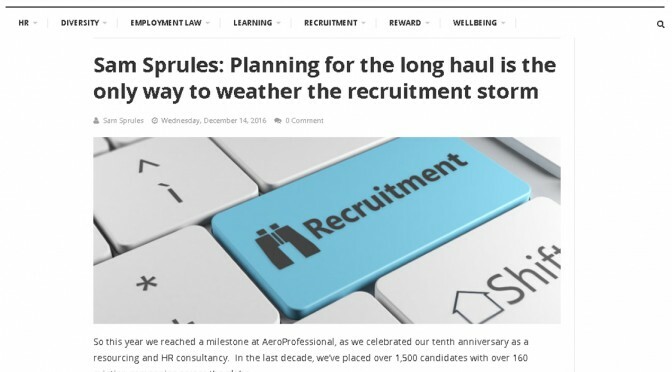 Planning for the long haul is the only way to weather the storm, read more from HR Review. Speaking to Recruitment Grapevine, our Director, Sam Sprules, reveals the three most common misconceptions about the industry. 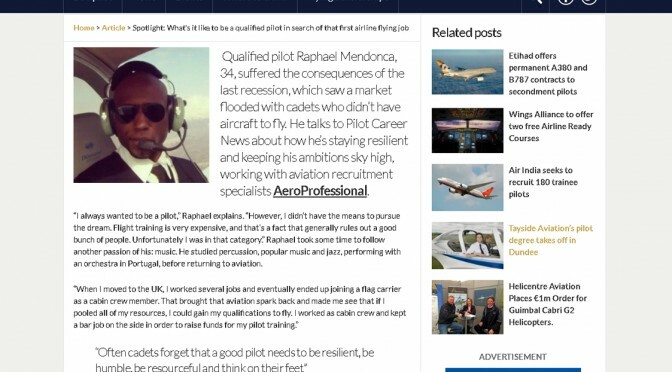 Read about our colleague Raphael Mendonca as he shares his journey to being a pilot with the support of AeroProfessional. 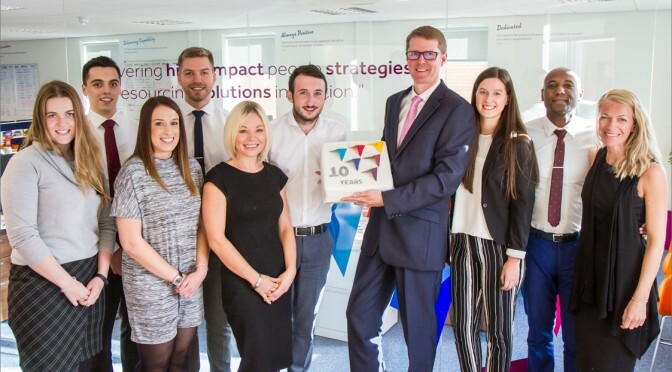 It’s been a decade of success, Insider Media cover our anniversary in a new article. 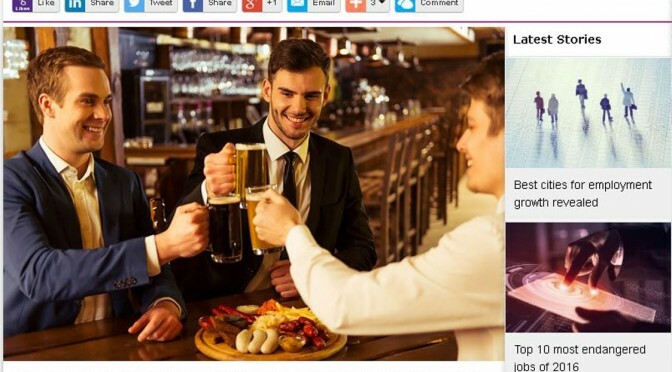 Catch the latest article in Recruitment Grapevine, with thoughts from our Director, Sam Sprules! 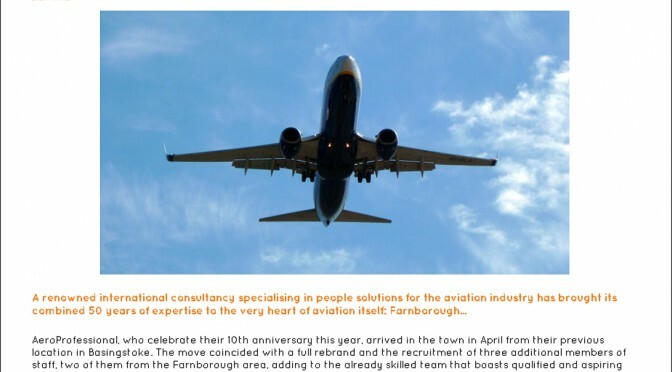 Farnborough News and Mail, cover our anniversary story of 10 years flying high. 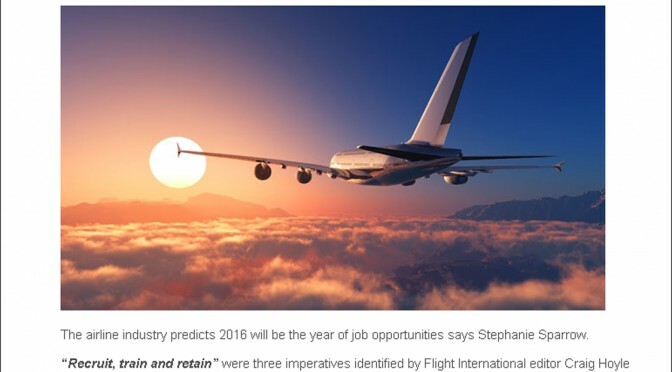 Flight Global provides a full insight from our Pilot Shortage report. Read the full article today. It’s cake all round as we celebrate a decade of flying high on our 10-year anniversary. Look out for at our anniversary coverage. 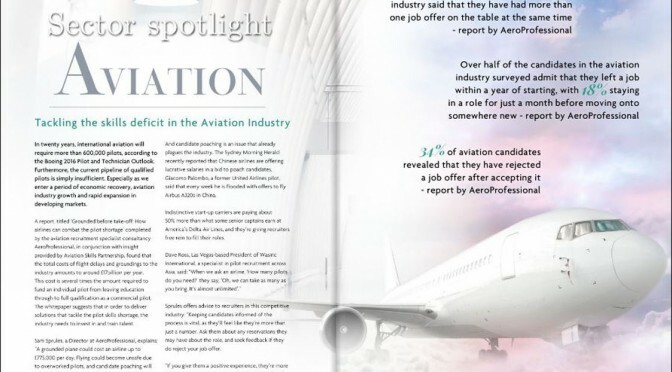 Catch AeroProfessional in the November edition of Flight Global. 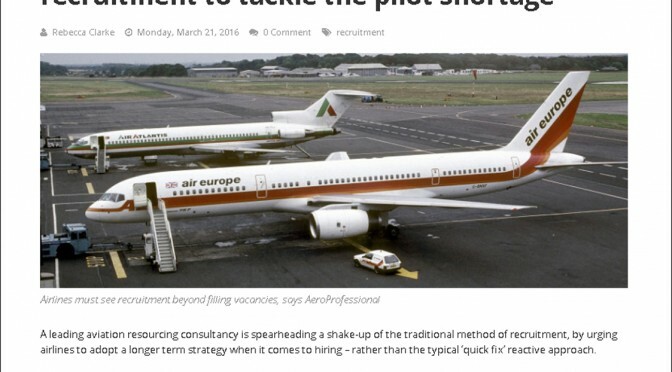 We discuss pilot shortages and the art of attracting good aviation talent. Read the full story today. 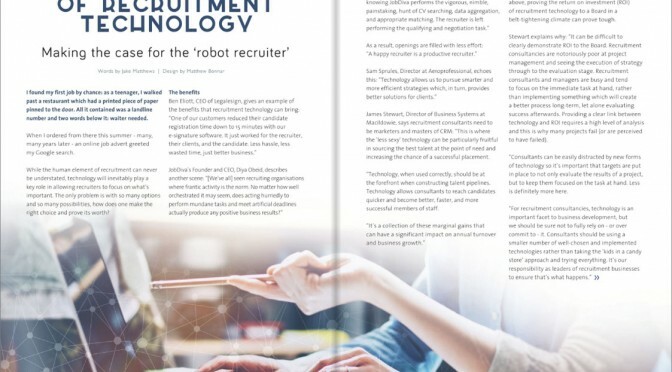 Did you catch our article ‘The Future Of Recruitment’ in this month’s Recruitment Grapevine magazine? If not, make sure you click the link below to read more. 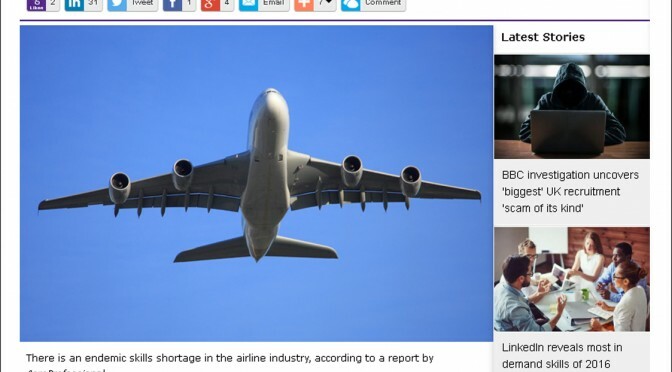 Demand for pilots to reach breaking point over the next decade. 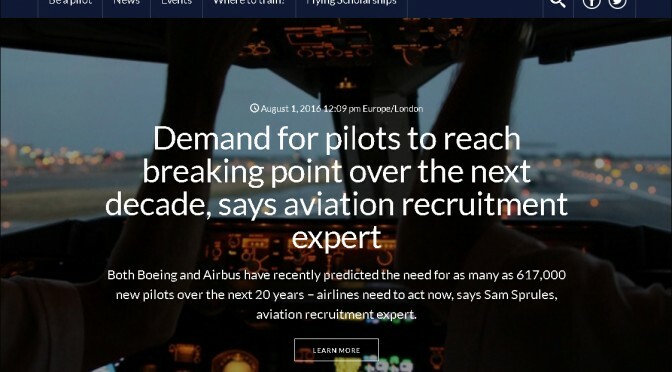 We talk to Pilot Career News about the demand for Pilots in the next 20 years, and why airlines need to act now. 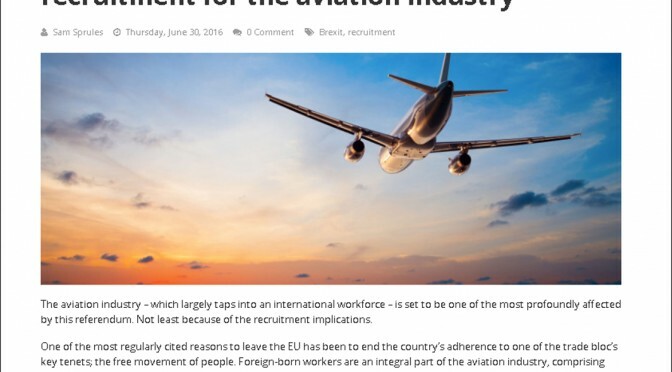 Sam Sprules discusses Brexit and the effect on recruitment for the aviation industry. 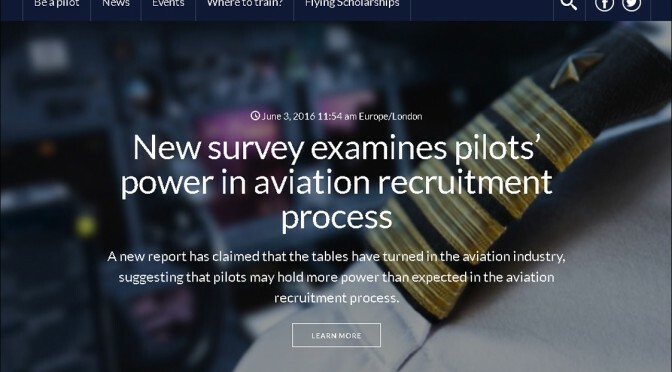 Pilot Career News comment on how our new report shows how the tables have turned in the aviation industry, suggesting that pilots may hold more power than expected in the aviation recruitment process. 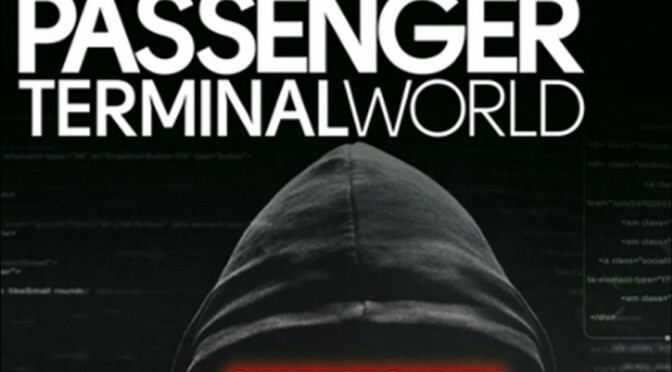 Read more inside this months Passenger Terminal World. 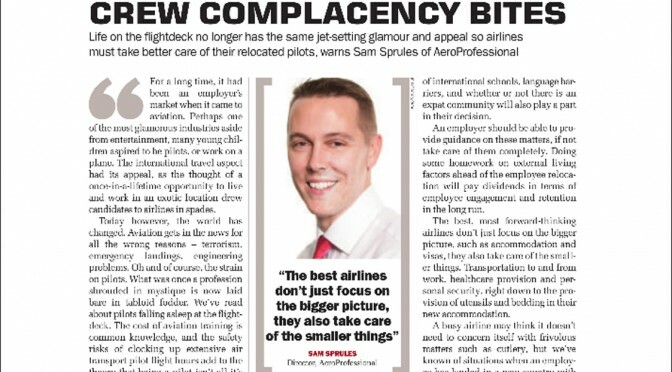 Airline Business talks to AeroProfessional about crew complacency. 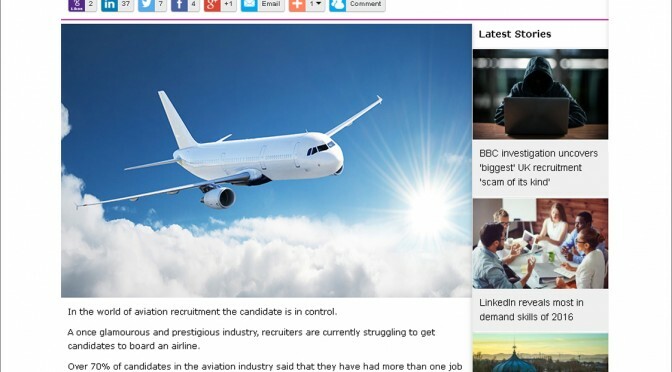 Airlines need to move away from traditional recruitment to tackle the pilot shortage. 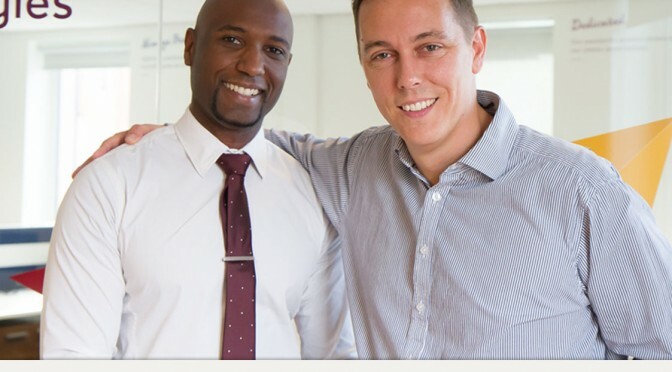 Common pitfalls when relocation staff overseas – and how to avoid them. 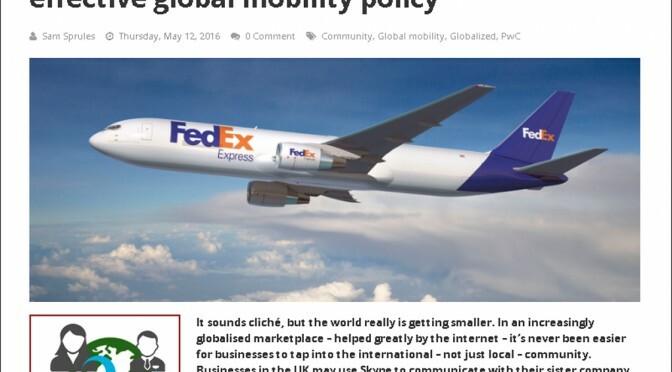 Read more from AeroProfessional is this months Real Business edition. 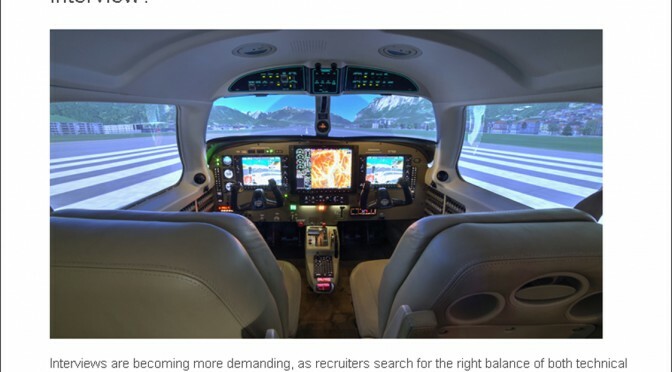 There will be an increased demand for training capacity , which means an urgent need for more instructors, This has the potential to become a very serious bottle neck to the industry.Read more from this Article at Flight Global. The Guide 2 Surrey, write about our business anniversary as we celebrate our move to the birthplace of British Aviation, Farnborough Airport. 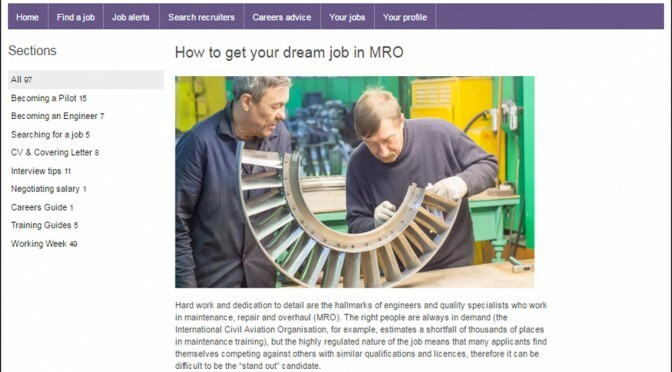 Read AeroProfessional’s insight on Flight Global Jobs, ‘How to get your dream job in MRO’. 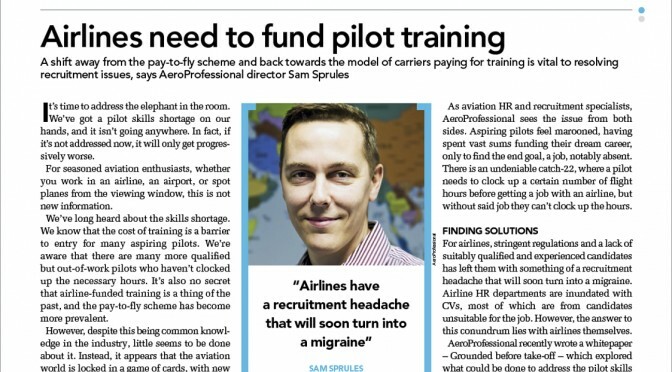 Airline HR departments under-qualified to assess pilots, read more from AeroProfessional in HR Grapevine. 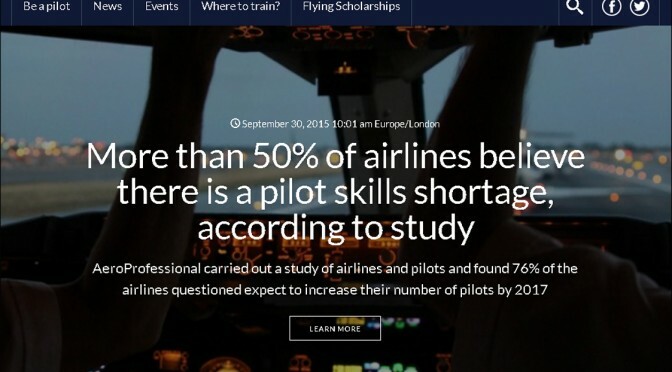 AeroProfessional study reveals the need to address airline pilot shortage. 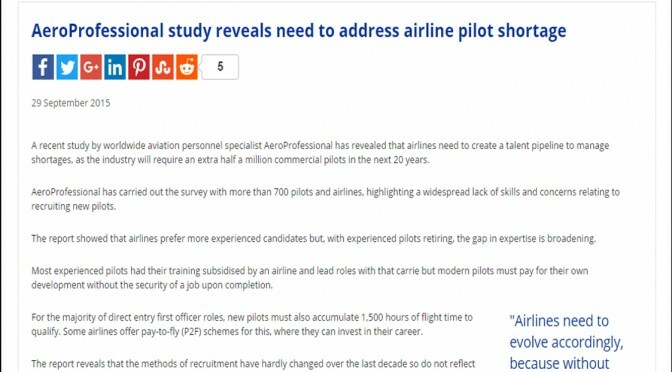 More than 50% of airlines believe there is a pilot skills shortage, read AeroProfessional’s insight on Pilot Career news. How to handle a ‘curve ball’ question during in aviation interview. 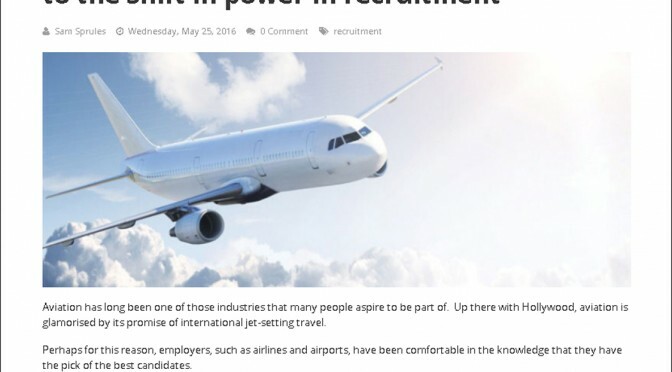 Read more from AeroProfessional in Flight Global Jobs.